The Essilor Group’s history has been shaped by many innovations that have continually aimed to better correct and protect people’s vision. These innovations enable the Group to go ever further in its mission of improving everyone’s vision. This ability to take a leading edge draws on continuous monitoring along with collecting and analyzing data from every source to stimulate the creativity of researchers. At the Essilor Group, we leads our market watch into current and future optics technologies. Dedicated teams detect upcoming subjects and gets involved in the incubation of new ideas. It is also responsible for identifying new research and innovation partners and works closely with all the R&D, Marketing and Engineering teams. Organized in multidisciplinary teams, Essilor R&D experts currently work on the major topics in vision health: myopia in children, especially in Asia where we are seeing a myopia epidemic among younger generations, links with changing lifestyles, or visual aging, for example, through a partnership with the Vision Institute in France and the creation of a dedicated research chair – the Silversight Chair. Progress in fundamental scientific and physiological knowledge opens up new fields of reflection and experimentation. 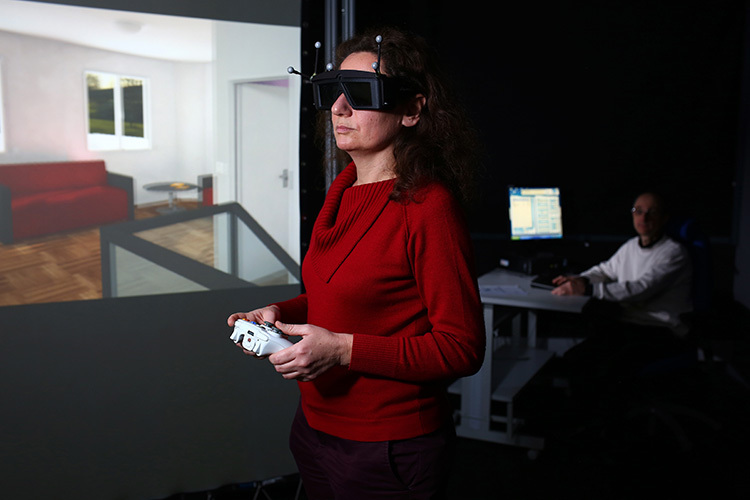 Established in 2007, at the Paris Vision Institute, a Neuro-Bio-Sensory team is carrying out research in three areas: low vision, vision-related neuroscience and sensory substitution. Its goal: to explore how new optical technologies (enhanced-reality glasses, or photo-selective lenses for example) can contribute to managing eye diseases, in tandem or in combination with other approaches, such as surgery or drugs. AMD (Age-related Macular Degeneration) currently affects over 100 million people worldwide and this number is rising rapidly with increasing life expectancy. To provide ever more complete protection against blue-violet light and UV rays – both factors in visual aging - the Essilor Group is launching in 2016 an innovation called "Eye Protect System". This enables filtering properties to be integrated directly into the lens and will be included on all Essilor’s lens ranges, for complete protection.